It's important to understand that everyone has impulses that are hard to control. You might walk by a storefront and see candy in the shop window, calling for you to consume its bundle of fatty sugars. 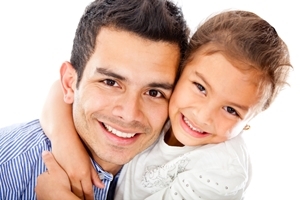 But when you're with your child, the most important part of fatherhood is making sure you're setting a good example for him or her by controlling your urges. Impulses can best be described as a devil on your shoulder, feeding you bad ideas and telling you to follow through on your urges. They can be small desires, such as bad eating habits, or problematic disorders like kleptomania and drug addictions. Regardless of the specifics, impulse control boils down to not letting urges take over your life. Your child is naturally receptive to your habits and may begin adopting them. When it comes to impulse control, this can become a problem with common issues such as sharing with others and taking turns. Working to foster good habits at an early age for your kid can be very helpful as he or she gets older. Try using a reward system for impulse control, such as adding change to a jar every time your child resists the urge to eat unhealthy snacks.